The PGA Tour of Australasia has announced a new tournament for 2013, the Heritage Classic, which will tee off from the 24th – 27th January. The announcement is welcome news for the PGA Tour of Australasia, who says the addition of the Heritage Classic will further boost playing and earning opportunities for the country’s many professionals. “It is wonderful to see the PGA Tour of Australasia further expand with the inclusion of the Heritage Classic in 2013,” said Brian Thorburn, Chief Executive Officer of the PGA of Australia. Mr. Sun from the Heritage Golf and Country Club, said the staging of the Heritage Classic is an important step forward for the golf club, which changed owners just over 12 months ago. 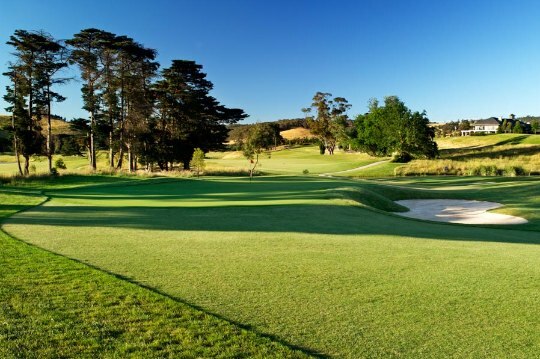 Joining the Victorian Open, Victorian PGA Championship and International Final Qualifying Australasia, the Heritage Classic complements an impressive Victorian swing on the Tour schedule. Boasting impressive prizemoney of $130,000 in 2013, professionals will also be enticed to the Heritage Classic by the opportunity to play the first “signature” Jack Nicklaus design built in Australia; The St John Course. Along with the prestige of being the inaugural winner of the Heritage Classic, a place in the field for the Tour’s biggest tournaments including the Australian Masters, Emirates Australian Open, Australian PGA Championship presented by Coca-Cola and the BMW New Zealand Open is also on offer. The 2013 Heritage Classic will be contested at the Heritage Golf and Country Club from 24th – 27th January, 2013.